Is a vast undead army amassing somewhere in Denmark? Researchers have discovered a bogful of bog-men, hundreds of them. A skeleton army buried in Alken Enge, a Danish bog that was once an ancient lake bed, MAY BE POISED TO MARCH ON COPENHAGEN! Or not. These guys are the undead? Actually, no. They’re not only merely dead, they’re really most sincerely dead. Scientists surmise these are creepily well-preserved sacrificial victims to some long-forgotten Iron Age rite or religion. It’s a major discovery in archaelogy, a field in which bog men are among the most fascinating finds in Europe. Alken Enge has been the site of excavations since the 1950s. 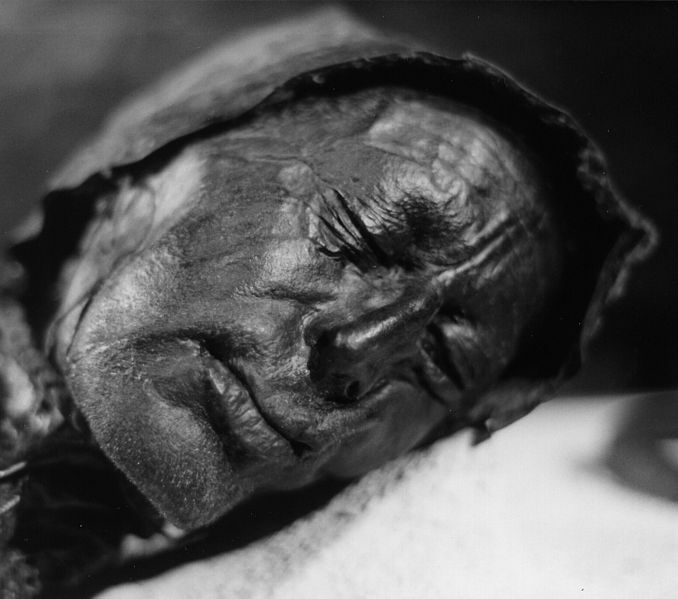 “Tollund Man,” a well-preserved bog man from Denmark. Source of image: Wikimedia Commons. Image in the public domain. 1. The find itself was announced in 2009, but the dramatic results are just now being revealed to the world press, causing a renewed flurry of interest. Or do you think the Zombie Apocalypse is getting a bit frayed around the edges as a pop culture meme?